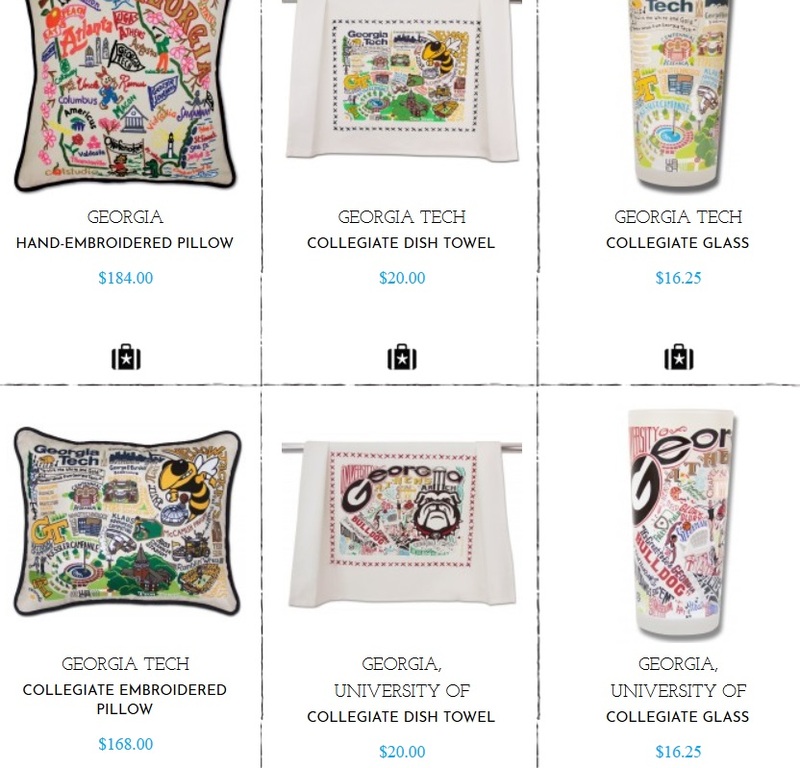 A look at some great holiday gift ideas that have a Peach State theme. 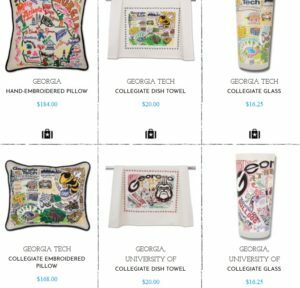 Your favorite Atlanta and Georgia inspired designs on many different products. Inspired by a love of world culture and art, catstudio’s original geography collection is a timeless ode to geography and craftsmanship. These iconic hand-embroidered pillows embrace a love of travel and discovery with a twist of humor, nostalgia, and hand-craftsmanship. Available in over 200 designs, with new products and designs constantly being added to the collection. In addition to the original geography pillows, catstudio also offers their designs on dish towels, glasses, and many other items as well. With price points starting at under $20 and going up $660, catstudio designs include all fifty states, cities around the world, national parks, landmarks, holiday designs, and the brand new collegiate collection. Based in Atlanta, Wee Blessing is the first subscription box for the entire family including moms, dads, kids, teens, plus size, along with pregnant moms! Each box contains 4 outfits, offering a variety of brands including Adidas, Nike, Ralph Lauren, Gap, J. Crew, Disney and many more all based off of the customer’s sizing, likes, dislikes and preferences. CEO Alicia Werle came up with the groundbreaking idea of opening up the service to the whole family, making it perfect for busy moms and dads who don’t have time to shop for their kiddos let alone themselves. This is also great for the hard to shop for gift recipient. For that athlete that needs protective gear. Lightweight and high-strength head protection for baseball players and more that uses the ball cap liner for hidden, low profile coverage. SST aims to provide products that may help reduce the risk or level of serious injury, namely fracture. Why risk head injury? SST is based in Georgia. Georgia’s newest professional baseball franchise has a unique logo that have been garnering national attention. It’s pieces of sizzling bacon. The Bacon is the newest member of the Coastal Plain League, a summer college league that’s been around 20 years. The team will be playing at historic Luther Williams Field when the team starts play next summer in Macon. 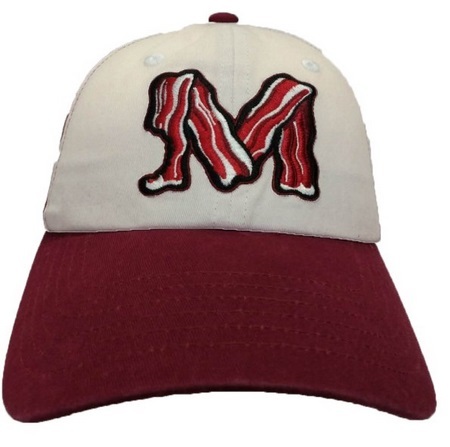 Own your hat, t-shirt or jersey featuring Macon Bacon, or give as a gift. 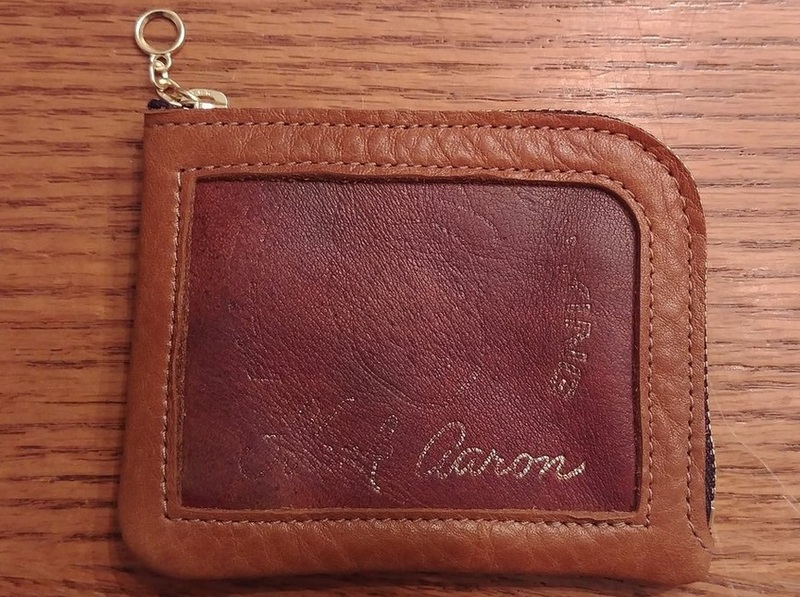 What could be cooler to have in your pocket than a leather wallet made with the remains of a vintage Hank Aaron baseball glove? Former Brave, Hank Aaron is the Home Run King. Hank’s face is still kind of visible on the front. 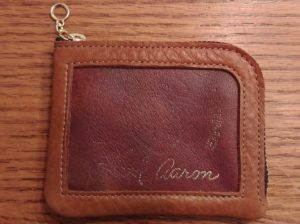 Signature stamping is more visible. On the reverse is the webbing from the same glove. 715 clearly appears within baseball logo. Order this now for ultimate baseball gift. 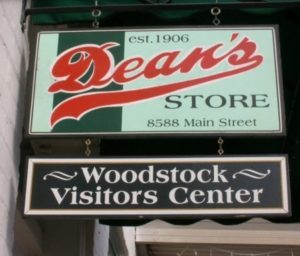 Located in Dean’s Store in Downtown Woodstock, you can pick up various Woodstock and Cherokee Country merchandise to give as gifts. 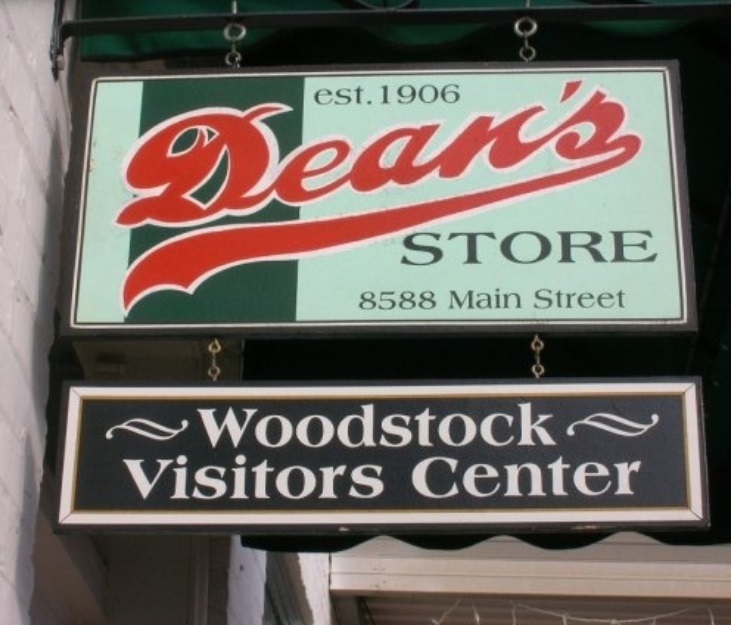 The Woodstock Visitors Center features a great selection of local books, Christmas ornaments, shirts, hoodies, magnets, Downtown Woodstock gift certificates, and much more. 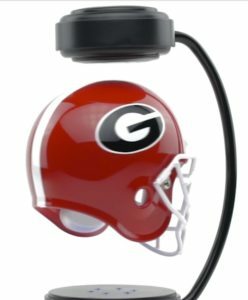 University of Georgia fans are fired up with the football team making the College Football Playoffs and making a trip to the Rose Bowl. Here’s the ultimate gift for the Dawg fan. The Hover Helmet. Perfect for the home, man cave or office. The Hover Helmet patented design begins with a 1/2 scale replica helmet. The helmets feature the latest helmet artwork. LED lighting located in the base of the stand illuminates the helmet. Once plugged in, your helmet will hover and rotate indefinitely! 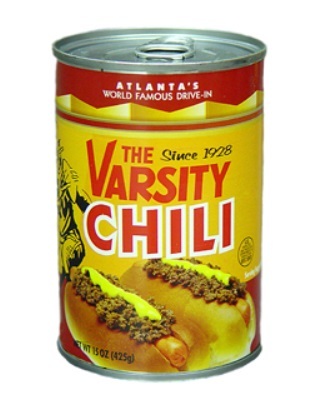 Did you know that you can buy The Varsity’s chili from their online gift shop? They also offer some cool logo items and other items that will make you feel just like a native Atlantan. Click through to their site and get some for yourself or as a gift. 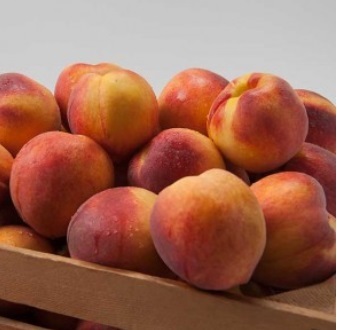 Last but not least, you can always order fresh Georgia peaches and pecans and have them sent all over the country. Pearson Farm in Ft. Valley has been an institution for over 100 years. They have deals starting at just $26 and will put together custom baskets and items as you wish.